This is a continuation of my post last week on seasonal summer dishes. Last week focused on nibbles, starters and pastas while this week’s list continues with main courses, side dishes and desserts. One of my favourite denial tactics is to pretend I am somewhere I am not. Like the year I broke my leg skiing and then dragged my friends to the local Turkish baths and then to an Austrian restaurant for fondue. When I am not at the seaside, I just cook up some super fresh fish and sit outside with a cocktail (especially an Aperol Spritz – see recipe here). 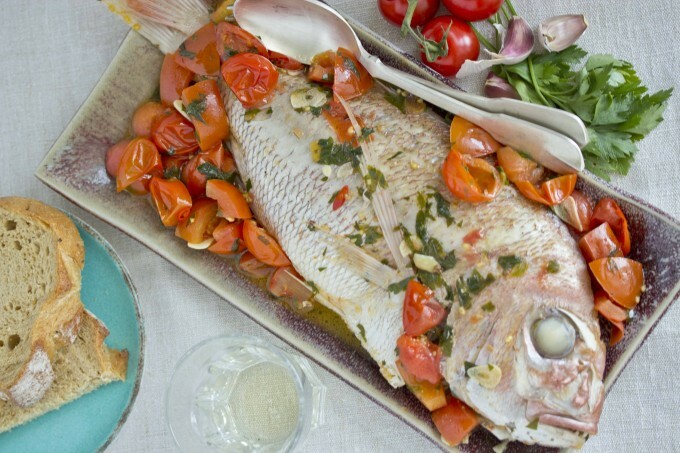 Acquapazza is my favourite way to cook fish and dead simple (see recipe here). Fishermen’s recipes tend be simple and excellent and this one is no different as it is cooked with tomatoes and garlic. 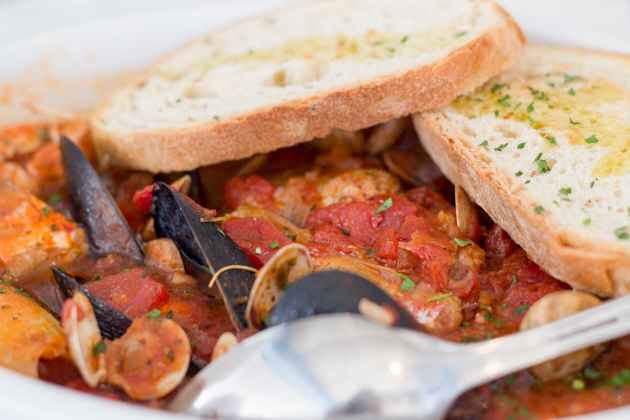 If you get a mixture of fish and seafood, a nice fish stew like brodetto is a classic seaside treat (recipe here). 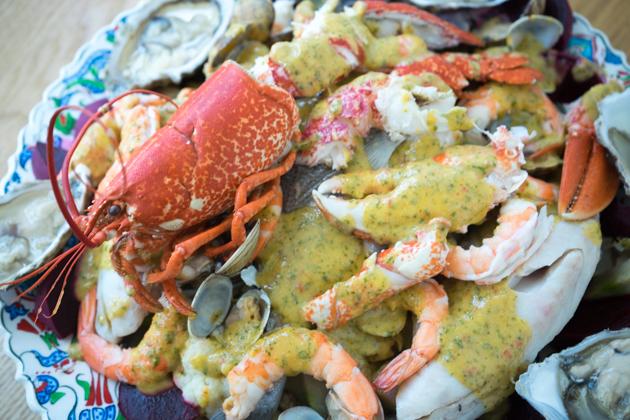 Cappon magro, a mixed platter of cold fish and seafood is always a hit (recipe here). 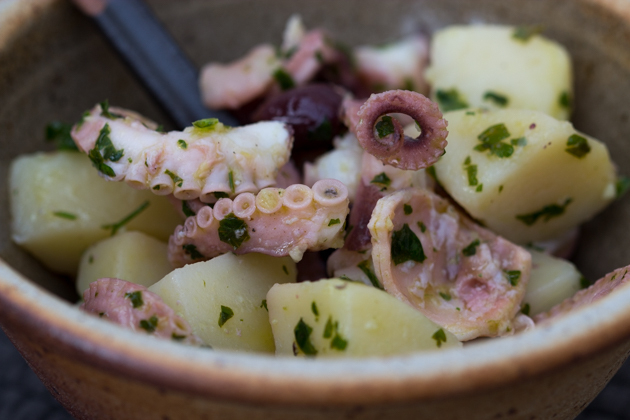 Octopus and potato salad, while traditionally a starter, makes a lovely simple lunch straight from the fridge on a hot summer’s day (recipe here). 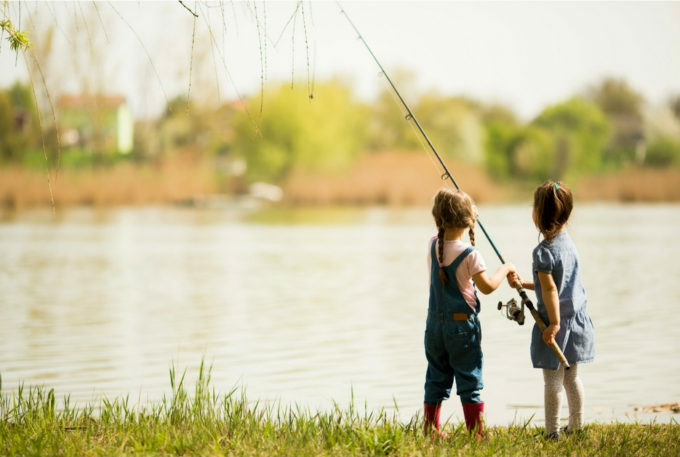 Summer weather creates the ideal conditions to have a barbecue (and keep an eye on the children playing outdoors). Simple grilled steaks, shell-on prawns, chicken and fish are classics. 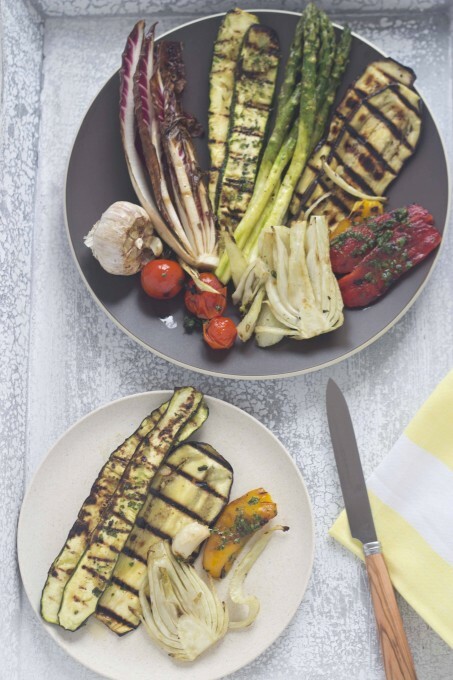 Mixed grilled vegetables (recipe here) are perfect as a side dish, starter or vegetarian main course. 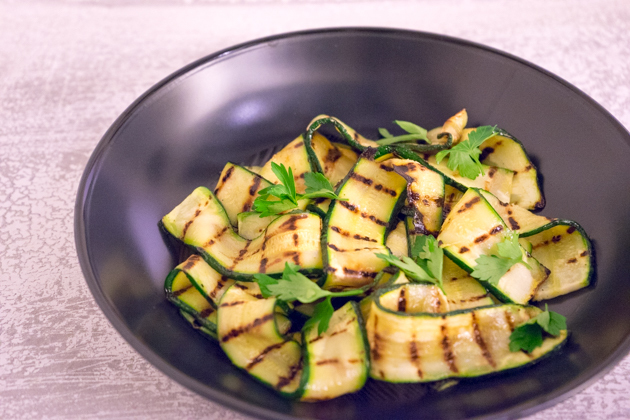 Simple grilled courgettes (zucchini) are a nice addition to the barbecue at the last minute (recipe here). 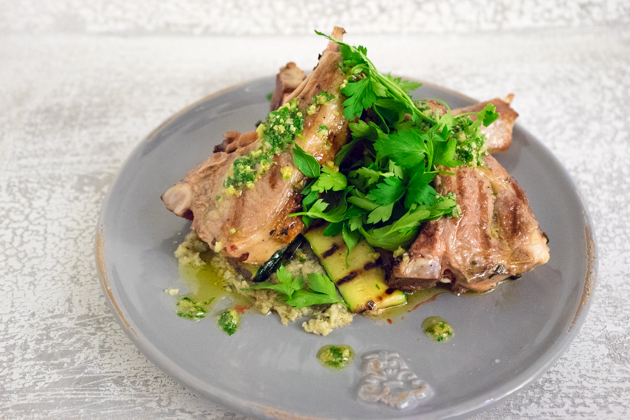 A slightly more elaborate dish which is perfect for guests is grilled lamb chops (or any preferred cut of lamb) with a zesty salsa verde (recipe here). 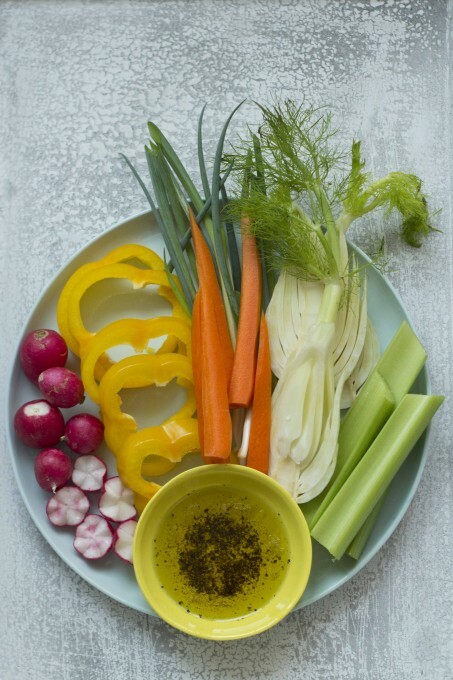 Another great super summery starter or side dish while barbecuing is pinzimonio (essentially a selection of raw vegetables to dip in olive oil- recipe here). To finish off, my favourite summer desserts are gelato, sorbet or an ice cold wedge of melon, a perfect peach, strawberries or figs. 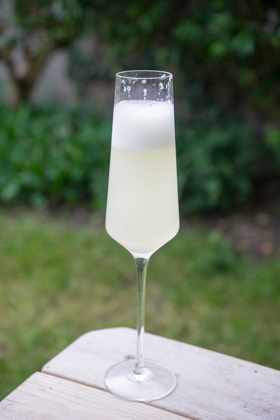 For something light, sgroppino: a ball of lemon sorbet mixed with prosecco makes a nice finish to a meal (recipe here). 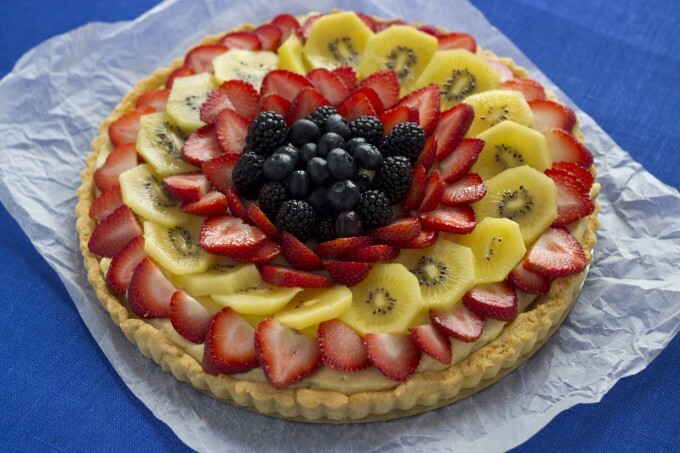 For special occasions like birthdays, make desserts which make the most of summer fruits. 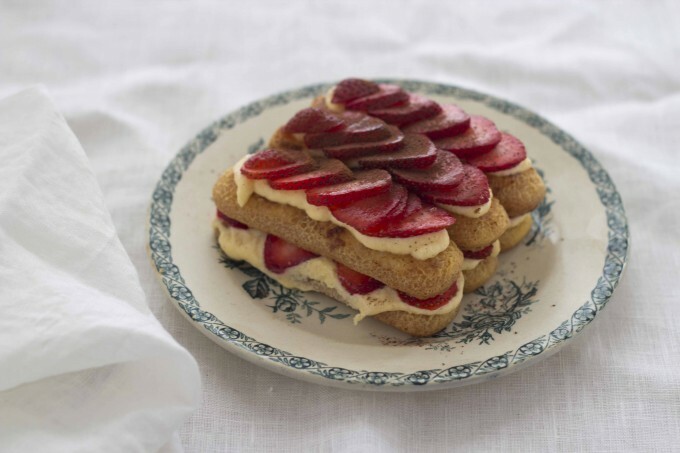 For strawberries, I make a tiramisu with strawberries (recipe here), a sponge cake with strawberries and cream (recipe here) or a tart with vanilla or chocolate custard and topped with berries or mixed fruit (recipe here). I hope you are enjoying your summer. The days are starting to get shorter so enjoy the sunshine while you can. 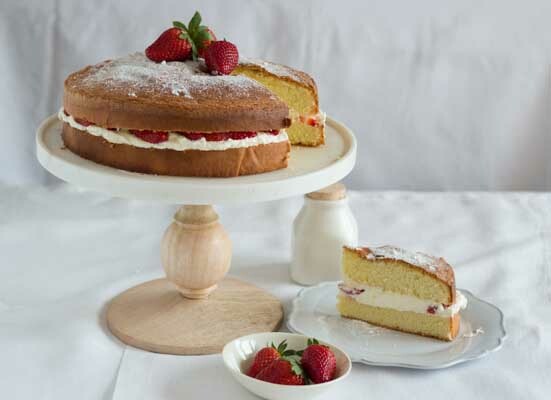 Please share below your favourite summer recipes.